My Ship. My Dream. My Job. 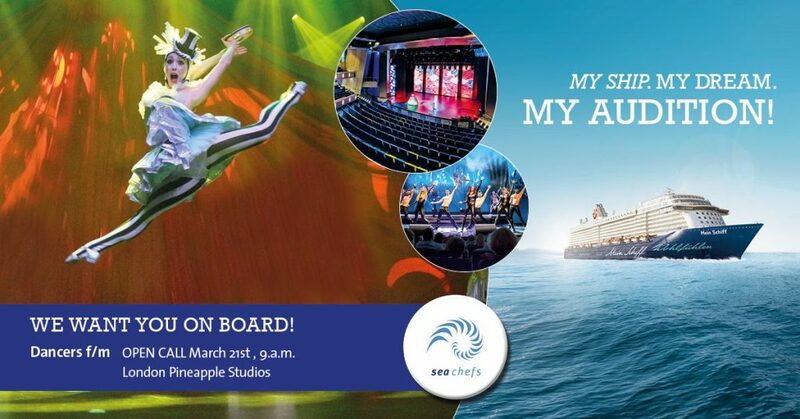 We are looking for professional dancers for our high quality shows and theater productions aboard the Mein Schiff fleet. While traveling the world you will perform our vast repertoire in an outstanding theater for over 1.000 guests. March 21st at 9 a.m.